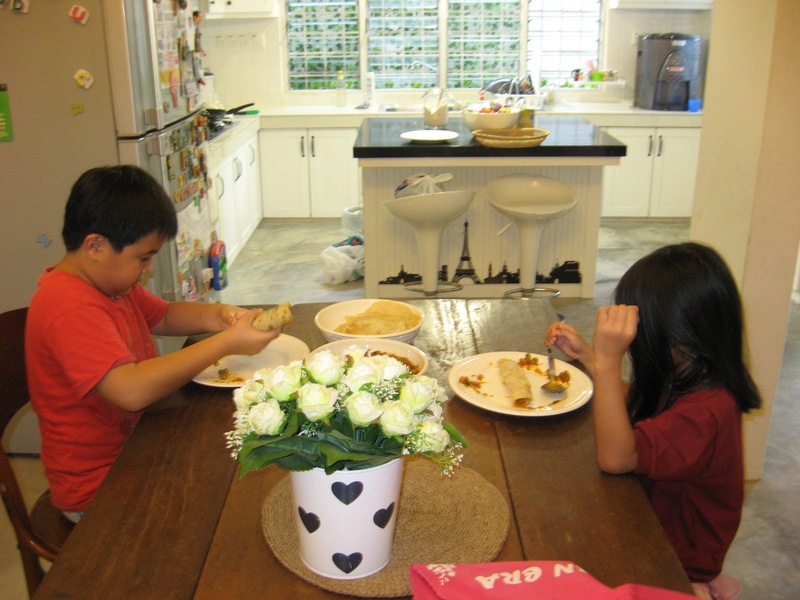 Recently on the way to our 'canteen' (a nearby cafe where I usually get our dinners), my son complained that he was bored of eating the same food and asked me why he couldn't have nice food like kakak's (my mother-in-law's maid) cooking. Ouch! My ego as a mother was dented. I told him that there was nothing to cook in the fridge (which is true) and promised that I'd cook something nice this weekend. The next day our fridge was still empty. So I korek our kitchen to find anything edible to cook. 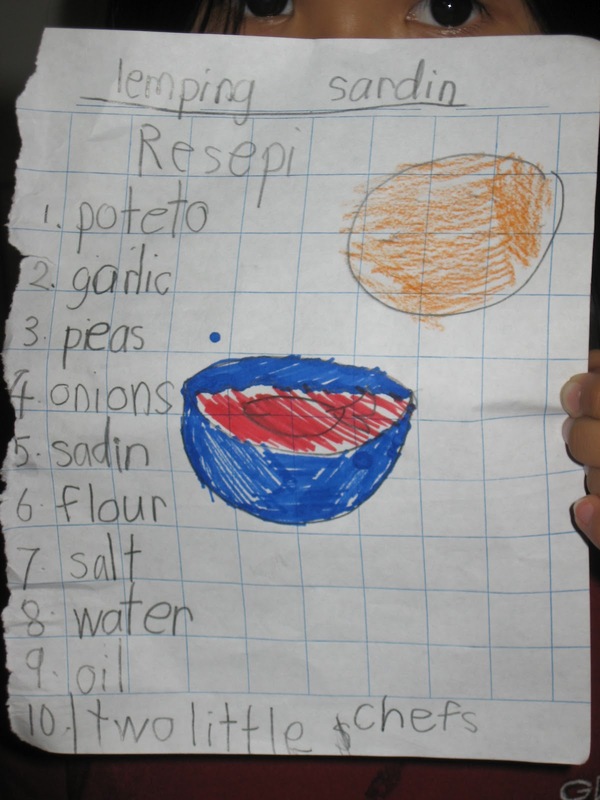 The only things I had were a can of sardine, frozen peas, flour, and almost rotten potatoes. There and then I got the light bulb moment - lempeng! I knew the kids would like it. To entertain them further, I got them involved in the cooking. 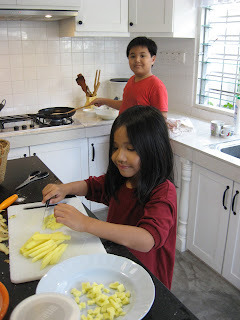 Aisya helped dicing the potatoes. And Imran pan fried all the lempeng. During cooking, he asked me 'where's the pancake box'. I told him 'this is malay pancake, not the mat salleh ones'. Don't worry - no kids were harmed in the process. Their fingers are still perfectly intact! 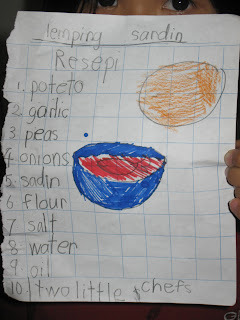 Aisya, who is always eager when I commissioned her to do anything which involves pens and papers, wrote the recipe.